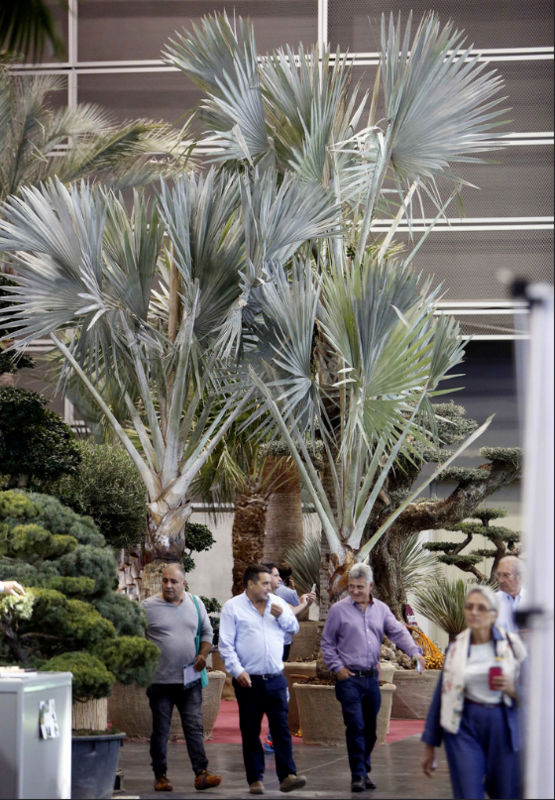 How to get the most out of my stay as an exhibitor at Iberflora? 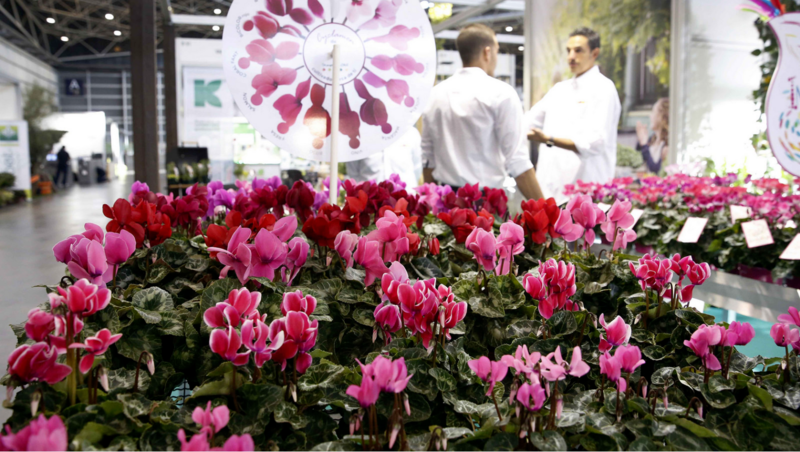 The team of Iberflora works all year round to make your stay fruitful as an exhibitor during the days at the fair , an investment that makes you feel satisfied. Iberflora, In addition to being an experiential exhibition, is now in a BUSINESS CENTER, both commercial transactions and their status of relationships within the green industry . 1. Get sales (closure of sales or pre-sales) and gain market share. Access to potential customers hardly accessible to the sales network. 3. Set relational links with customers current and potential. 4. Find multiple opportunities to penetrate into foreign markets. Iberflora may be a strong platform in the settlement or development of the internationalization strategy of the company. Analysis of the degree of satisfaction of customers actual or potential with respect to our products and the competition. Clear view of competition: our position regarding them, pricing policy, type of clients, etc.. Knowledge of the problems and the new trends sector. 6. Identify or capture possible collaborators or partners: suppliers, subcontractors, representatives, importers and distributors. 7. Reinforce the image of the company and enhance public relations with the media Since participation in Iberflora is itself a corporate communication campaign. To publicize and promote the new products and services. This first contact to be used as test product. 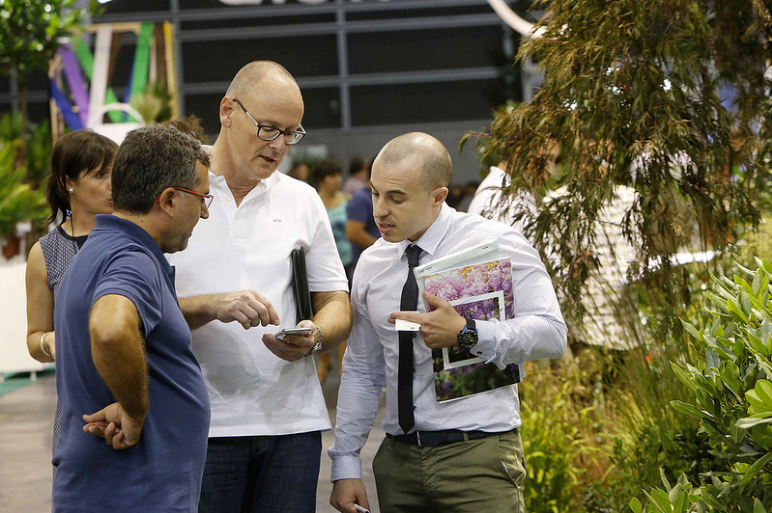 How maximize the results to attend Iberflora as exhibitor? The process of organizing participation in a trade fair is complex and should be planned, integrate, coordinate and monitor several elements. For this reason it is advisable to start the Organization in advance. We expose you below the checklist, a guidance tool both deadlines and activities to carry out. Before any question do not hesitate to contact the team of Iberflora. Apply for the documentation of participation, fill it out and send the request for space booking with the event's organization.. Apply for the subsidies and grants from which the company can benefit (For more information contact the team of Iberflora). Select the stand, the decor and the installer. 2. Communication: Define the communication and promotion plan. 3. Human resources (HR): Inform the personnel of the company involved. The contract with the Organization of the fair. Contract the insurance (theft, fire...). Consult the final location of the stand. Specify the characteristics of the stand (bear in mind objectives and budget available, material to exhibit and Feria Valencia regulations). 2. Communication: Prepare all the promotional material, samples and advertising items (use of the existing and creation of new promotional material). Planning the stay of personnel: transport and travel, accommodation and subsistence allowances. Set the entry in the exhibitors catalogue and contract advertising space in the same (consult deadlines with the managers of the contest). Prepare the freight forwarding documents. Supervision of the stand: decorative elements, furniture, procurement of supplies, etc..
2. Commercial: Prepare the price lists (CIF, FOB, etc.). 3. HR: Perform the reservations for transportation and accommodation. Advertising: contract advertising in specialized press, indicating the location of the stand at Iberflora. Communicate to your customers the parallel events of the event which may be of your interest. Control the production of printed media: literature, catalogues, business cards, etc.. Cabinet of Press: develop a press kit. 5. Budget: Review the budget and check the deviations. Send the documentation to the contracted services. Control the reception of invitations, exhibitors passes, parking cards. Control the issuance of goods to exhibit at the fair. For the non-EU exhibitors: check passports, visas and accident insurance. Planning the campaign for attracting visitors selecting the potentials and determining how to contact them: telemarketing, mailing, emailing, visits, etc.. Intensify the work of the Cabinet of press for the publication of reports, articles and news about the company. Send company information to the Cabinet of Iberflora press. Send the programme of activities of the updated event to your customers. Perform the inventory of the stand. Perform the planning of visits. 3. HR: confirm reservations for transportation and accommodation. 4. Communication: check the availability of promotional materials (literature, catalogues, etc.). Finalize the details of participation with stand staff: work shifts and meeting schedule daily valuation. Make a brief review of its mission (remember the objectives of participation, assignment of tasks and responsibilities, etc.). Tax relief in tax (see conditions in the Art. 34, (1-b) of the Act 43/95 of tax). Compilation and analysis of available information.